Doctors often call an irritation at the base of the little toe a ‘Tailor’s Bunion’ or ‘Bunionette’. This specially-designed Gel cushion helps protect this sensitive area. 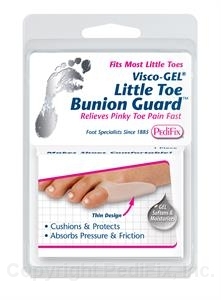 Proprietary Gel soothes and softens. Thin profile fits comfortably in most footwear. 1 per pack.